Catch the Wave: If middle classes or rich are move in, and there are not enough properties to meet demand, then prices will rise sharply. It’s a question of finding such areas as early as possible – before prices rise sharply – and “catching the wave”. Skewed Prices: Even if prices are already considered to be fairly high – for instance in Clapham, London – it does not mean to say that prices cannot still rise sharply. It depends on how they lie within the market. Conversely, just because Dagenham in East London has the lowest prices location for a house in the London region, it does not mean to say it’s a good investment. 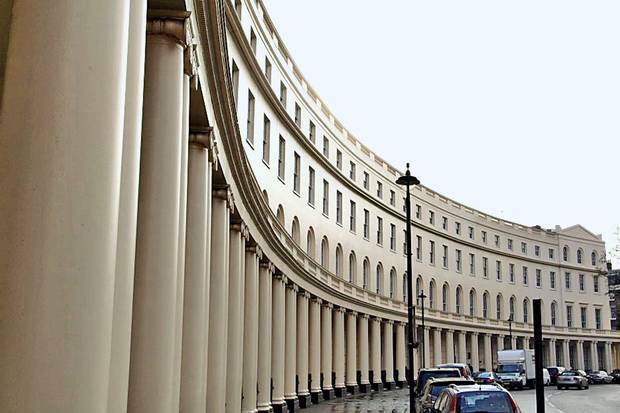 Over time, central London prices will rise faster than peripheral prices simply because it’s very difficult to build new properties in central location and it’s impossible to build old Victorian, Edwardian or 1800s stucco properties. Wealthy people will normally want to live and work in central locations. Positive Change: The key is to look for big positive changes for any area – using the five criteria mentioned above. Tottenham Court Rd – example: Let’s just take Tottenham Court Road as an exampl e. Is it a good place to invest in property? Well, the area will get a brand new Crossrail station in 2017, it’s very close to the trendy Soho for nightlife-shopping and Shaftsbury Avenue for theatre and is mid-way between the City (high paid jobs) and West End Mayfair (ultra-high paid jobs). It’s very close to St Pancras for Eurostar. 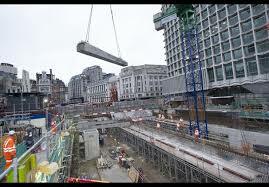 Heathrow will soon be very quick to get access with the new Crossrail link. New business is moving in at a fast pace, there is very little property being built – those that are being built are very expensive. 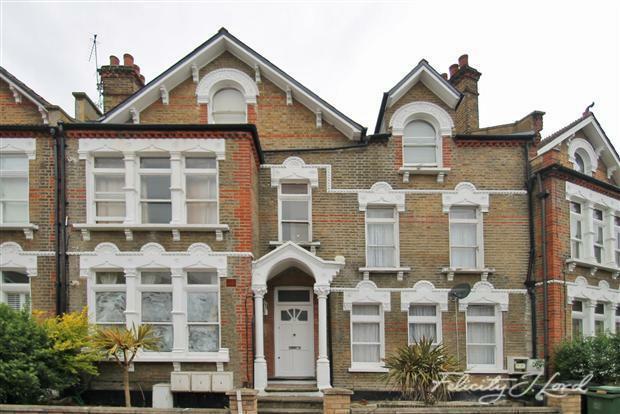 It benefits from the shops in Oxford Street and is close to University College London. The area is popular with the young trendy rich foreigners – they like one bedroom flats in quiet streets. It’s difficult to see how prices for a well presented Victorian 1 bedroom flat in a quite side-street would crash – and it’s easy to see how they could continue to rise at above trend. A favoured property hotspot for capital gains. 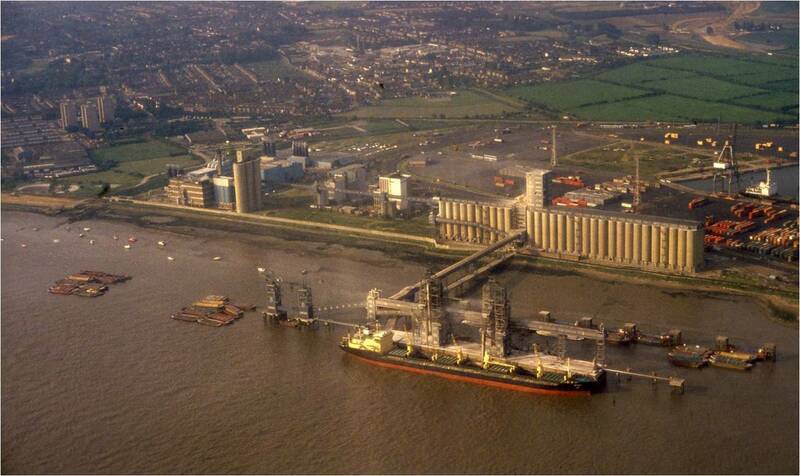 Tilbury – example: Now let’s take Tilbury on the Thames in East London/Essex. There are no new infra-structure projects, this forgotten about corner of Essex has been in decline for years and the public sector cuts are probably having a negative impact on the town. Few new businesses are moving in. Building land is available if needed. Supply more or less meets demand. Many people are trying to move closer to London. Rail communications are poor. The Thames acts as a barrier to communications south and one needs to use the Dartford tunnel/bridge to get to Kent – a traffic nightmare. The area is muddy and rather polluted with a high proportion of power stations and heavy manufacturing close by. Prices are low, but it’s tough to see prices skyrocketing any time soon simply because there does not seem to be any positive trends affecting the market. Yields could be good, but you’d have to find some good tenants – preferably not on social security. Despite seemingly very low prices, risks are actually quite high. Not a favoured property investment hotspot for capital gains. Regeneration and Gentrification: In London, they say regeneration and house prices start moving higher when the artists move in. The trendy artists. Then as prices rise, the artists get priced out and the middle class families move in before eventually the bankers arrive. We have seen th is in places like Islington, Notting Hill, Camden and Clerkenwell over the last 30 years. So what are the next areas that will see this trend? Artists Start Trend: The artists are currently moving into places like New Cross Gate, Forest Gate, Deptford, Hackney, Peckham and Stoke Newington. These areas – particularly New Cross - are very cheap – one bedroom flats can still be bought for £150,000. Over time, the ripple effect from London Bridge (for Peckham/New Cross/Deptford) and Clerkenwell-Shoreditch (for Hackney) will spread rapidly and these prices should rise sharply in 2014. One bedroom flats are about five times cheaper than similar ones only 1½ miles into the centre of London. As the lower end of the market improves with effects triggered by the Help to Buy scheme, we should see these prices start rising – spreading to places like Brockley/Lewisham and south. Ripple from Chelsea: Battersea will see prices rising quite rapidly simply because it’s only ¼ mile from Chelsea where prices have exploded recently. Clapham prices will also rise as B ritish bankers are priced out of Chelsea and Kensington by the super-rich foreigners. Chiswick should also see prices rising sharply – because it is a leafy suburb with good communications, with Chiswick Business Park providing large numbers of new jobs and people being priced out of Kensington and places further east. Fulham prices should also rise sharply in the next 6-12 months because it is the next areas outside from Kensington. One bedroom flats in Kensington cost £800,000, whereas in Fulham they cost £350,000. Printing Money Set to Continue: The UK government has printed so much currency and Sterling has dropped so sharply against Far Eastern currencies that London property – compared to many global cities – looks quite reasonably priced for the super-rich. They continue to arrive in droves. London is considered a tax haven for the super-rich. As prime West London prices continue to rise – possibly into bubble territory – there will be a ripple effect in neighbouring areas, until property prices drop back again. Anyone surprized at the prices should consider that there are 7 billion people in the world, and London contains 8 million. If the super-rich are 0.5% of the population, that 35 million people. In West London, there are only about 300,000 properties, with 30,000 sales a year. If 10% of the 35 million people w ere looking for one West London property – that would be 3.5 million people chasing 30,000 properties. Okay, this is a bit extreme, but the point is, there does not need to be many rich foreigners looking for a bolt hole in London for prices to rise sharply. Price drops don’t look likely in 2014 but the risk of drops in 2015 is far greater because by then, we could be looking at a Labour government gaining power – and with it punitive taxes on the rich and Londoners. Until then, there is probably still some reasonable capital gains to be made, but watch out for end 2014-early 2015 because things could rapidly slide as the election approaches. Ripple Effect: Yes, until then it’s the good old-fashioned ripple effect – moving out from Kensington and Chelsea. Prosperous towns in SE England with good communications to London will also see prices rise sharply – such as Guildford, Richmond, Woking, Aylesbury, St Albans, Tunbridge and Redhill. Brighton prices should also move up rapidly – part of the ripple – in view of the 50 minute manageable commute to London. Places along the south coast like Worthing, Hove and Shoreham will also see prices rising – with trendy/wealthy Londoners moving out as they do – to south coastal areas with their families. 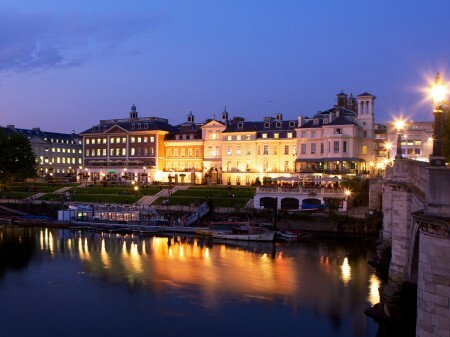 Smart Towns and Cities in South: Further afield, prices are also likely to rise in market towns and cities like Oxford, Cambridge, Winchester, Henley, Newbury, Salisbury, Bath, Bristol, Stroud – the mo re desirable places. Young Starters: For young property investors just starting out that are wandering where to go for a bargain in London, the place that seems to have the lowest prices – lagging behind most areas – is New Cross. As we mentioned, this is the final place within a 3 mile radius of central London that you can pick up a one bedroom flat still for under £150,000 - such flats can be rented out for about £825/month. Crime levels are higher than most areas, but we can’t help thinking prices will rise sharply in this area in 2014. New Cross is far cheaper than even Peckham, Brixton or Stockwell. It’s the cheapest central London suburb.